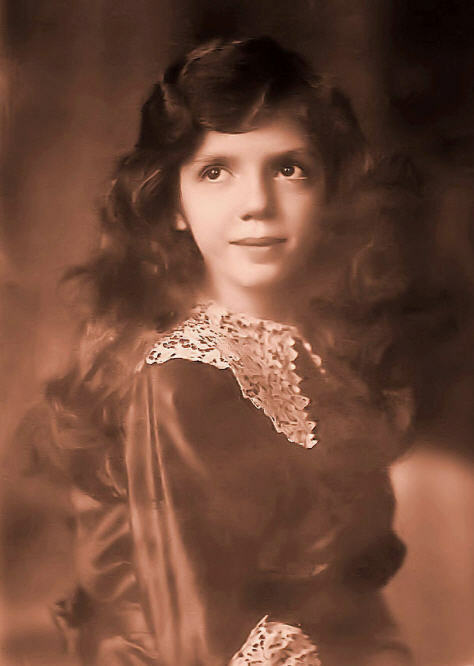 Mafalda von Hessen was born as Mafalda Maria Elisabetta Anna Romana, princess of Savoy and she was the daughter of the Italian king Viktor Emanuell II and of princess Elena of Montenegro. She got married with Philipp von Hessen in 1925 - a grandson of queen Victoria - and she gave birth to four children: Moritz (1926), Heinrich (1927-1999), Otto (1937-1998) and Elisabeth (1940). The marriage was contrived by Mafalda's mother Elena. Prinz Philipp already knew Hermann Göring since 1924 and the National Socialists followed Philipp's rise with benevolence. He joined the NSDAP in 1930, three years later he took over the position of the "Oberpräsident" of Hessen-Nassau on invervention of Hermann Göring. The family moved afterwards to Kassel. When the Nationals Socialists seized the power in Germany Prinz Philipp he brought himself into service. 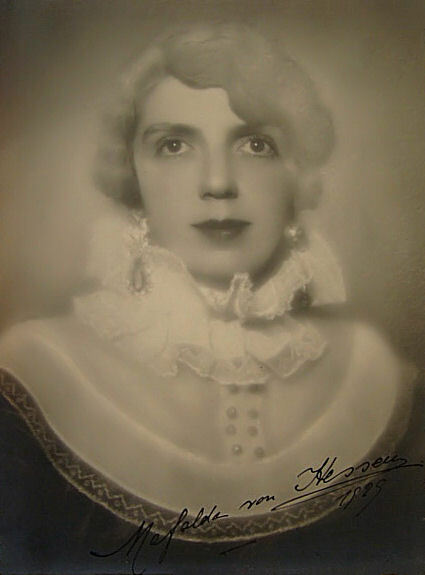 Adolf Hitler availed himself of it because of the familial connections of Mafalda von Hessen's family with other European royal houses although he always had retentions against the Italian royal house. Mafalda's husband belonged a long time to the so-called inner circle of Hitler and he represented the connection between Germany and Italy and to king Viktor Emanuell III as well as Benito Mussolini dar. The couple took up a central position for the rapprochement of Italy and Germany. According to statements of Mussolini's confidant Filippo Anfuso was Philipp von Hessen was instrumental in affiliating Hitler and Mussolini. However Mafalda von Hessen herself did not make a secret of the fact that she did not like Adolf Hitler and with it she confirmed Hitler's distrust againt the Italian royal house. This antipathy is reciprocal. But Mafalda von Hessen was also not able to abscond from the political confusions completely. When Mussolini garrisoned Montenegro in 1941 queen Elena convinced Mussolini to give the crown of Montenegro to her nephew Michael Petrovic who was living under house arrest in Bad Homburg at that time. So Mafalda got the mission to persuade Michael to accept the crown but she was unsuccessfully. The Gestapo became aware of her mission and she got into focus of them for the first time - but with no more consequences so far. When Mussolini was degraded by the Grand Council of Fascism in Rome in 1943 and when king Viktor Emanuel III let Mussolini arrest, Hitler romped in Germany. All the more when Mussolinis successor was Marshal Pietro Badoglio who argued for an end of the war publicly. He announced a armed truce with the Ally. In this acute phase even Philipp von Hessen became a target of Adolf Hitler because he felt left out by Philipp regarding the activities in Italy. Hitler reacted immediately and he announced consequences against the Italian royal house. Hitler ordered the release of Mussolini in August and let arrest all involved people of the degradation including the Italian royal house. His main focus was on Umberto, the crown prince and greatest antagonist of Hitler. King Viktor Emanuel III and Pietro Badoglio fled in the part of Italy which was already occupied by the Americans in order to avoid that they were force to abolish the armed truce again. In that time princess Mafalda von Hessen was observed by the Gestapo. When she went to the funeral of her brother-in-law, Tsar Boris III, there were rumours that Hitled let poison him. Hitler himself said about Mafalda that she committed the crime on behalf of the Italian royal house. The Führer means that this poisoning was inspired by the Italian royal house presumably. It is suspect that princess Mafala spent several weeks in Sofia before the death of king Boris. She is a sister of the Bulgarian king as is well-known. Also the king (king Viktor Emanuel III) can no longer be treat with care in our propaganda. The Führer expresses his conviction again that princess Mafalda is the most malilcious sod of the Italian royal house. He believes she is capable to promoto her brother-in-law Boris from life to death. The accusation was made up out of thin air but demonstrate clear how big Hitler's antipathy was against Mafalda von Hessen. Even before she was able to return to Italy, Prinz Philipp was arrested by the SS in September 9, 1943 and was detained - this was the reaction for the degradation of Mussolini. It was only a question of time till Mafalda von Hesses was arrested by the Gespapo as well. Finally they set a snare for her in September 22, 1943 called "Operation Abeba". They offered her to have an opportunity to phone with her arrested husband. But when she arrived in the villa Volkonsky in Rome she and her sister Mia were charged and they brought them to Germany - first with intent to use them as a bargaining chip. Mafaldas children were brought to safety in the Vatican before fortunately but when the Vatican became aware of the imprisonment of Mafalda von Hessen they deported the children. A governess was able to bring them safe to Kronberg where their grandmother lived. After an arrest in a house at the "Kleiner Wannsee" in Berlin where she was accused to have been informed about the political change in Italy without informing the German authority - which would have been her obligation as a German citizeness (which she became by her marriage with prince Philipp). Finally she came as a prisoner under the name Mrs. Weber into the KZ Buchenwald. There she shared a so-called special barrack together with the couple Breitscheid. When it seemed that her martyrdom will come to an end soon the preparation of the release of the captives became her tragic destiny. During a bombing raid of the USAAF on August 24, 1944 she was badly injured and was rescued with burn as well. They had to ampulate one arm but the surgery was done too late. Three days later she died at the age 42. She was buried in grave No 262. Only eight months later the royal family was informed that Mafalda died in Buchenwald and it lasted till 1951 before her burial plot was identified with the aid of Hermann Joseph Thyl who was an eye witness. The body of Mafalda von Hessen was transferred to Kronberg in the same year. Her husband Philipp von Hessen was adjudged after the war. One-third of his fortune was collected and was sent to prison for two years. He died at the age of 84 in 1980. The granddaughter of Mafalda von Hessen of the same name became a costume designer and is considered as the muse of the fashion designer Giorgio Armani.